Over the years, we’ve found ourselves spending longer and longer on complex skincare routines. Cleanse – exfoliate – cleanse again – hydrate – nourish – brighten…and the list of daily skincare treatments goes on. What was once a seconds-to-complete wash and dry process, a daily skincare routine can now take significant time out of someone’s day. Multi-use skincare products are becoming a trend that’s hard for consumers to resist. Multi-use skincare does exactly what it says on the elegantly labelled bottle. It’s one product formulated to treat a range of skincare concerns. Traditionally, you might use one product to hydrate dry skin, and another to reduce blemishes caused by acne, but popping up across the market are versatile ‘one-pot-wonders’ that do it all. Think multi-use skincare products sound too good to be true? Why choose multi-use skincare products? Multi-use skincare products are marketed to save the consumer time, money and space in their bathroom cabinet. As busy people, there’s no denying we’re well on board with the concept of killing multiple skincare birds with one giant pebble. The problem, for us, comes from the formulation of multi-use skincare products. Multi-use products are created based on the claim that combining a variety of active ingredients will offer the same array of benefits to your skin. Unfortunately, when a multi-use product comes in the form of a moisturiser or lotion, many of the ingredients are emulsifiers – synthetic ingredients used to create consistency and texture. Emulsifiers do their job and bind the ingredients together, but they also bind up the actives so essentially, the goodness you’re paying for is also bound up in a concoction of synthetic ingredients and can’t penetrate the skin cells where it can make a difference. Additionally, the combination of synthetics required to make your product smell nice and last longer can cause sensitivity to your skin over time that can make it sore, itchy, dry and cause blemishes. And further, the water (sorry, aqua), used to make the product stretch further giving skincare manufacturers more bang for their buck also dilutes natural actives. Most multi-use products sit at about 2% activity rendering the small quantity of natural active ingredients that can penetrate your skin virtually useless. Any improvement you notice is attributed to synthetic ingredients that can damage the dermal barrier and cause sensitivity. Ouch! But that’s not to say multi-use skincare products should be dismissed altogether. As life gets busier and bathroom cabinets get smaller, we’re looking for as many ways to save time and money as possible and we’re all for them! The solution is to choose natural plant-based serums abundant in potent phytonutrients that don’t require activating agents to work, synthetic emulsifiers to create texture and consistency, fragrance to make smell nice, or water to make stretch further. Biologi is a natural range of multi-use serums extracted from native botanical fruit chosen because of their benefits to the skin. 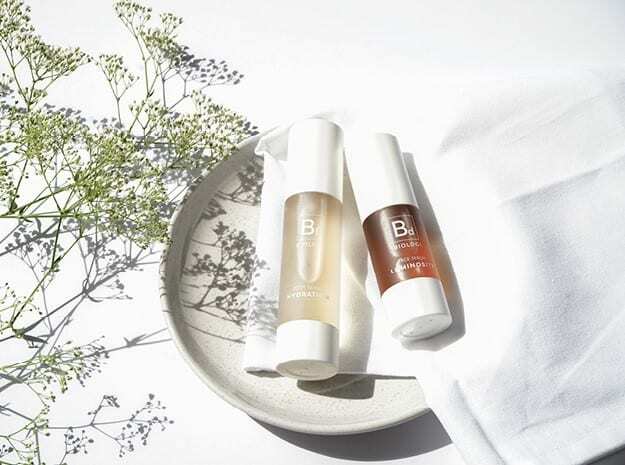 Biologi utilises a revolutionary extraction technique that takes pure serum from the plant and places it in your bottle, so the product works on your skin exactly as it does in the plant. Biologi serums give potent results because the powerful phytonutrients in every bottle work in synergy with one another to provide numerous benefits to your skin, just as they do in the plant. What skincare concerns does Biologi address? 100% actives: Vitamin C, gallic acid, ellagic acid. Multi-use with activating agents, emulsifiers, fragrances and water? No. Choose one natural product for multiple uses, choose Biologi. Click here to shop today.